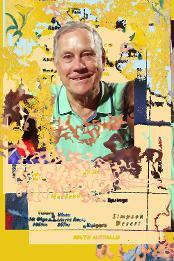 Bill Day with statue ofhis Great Uncle Hugo Throssell VC in Northam WA in August 2015. 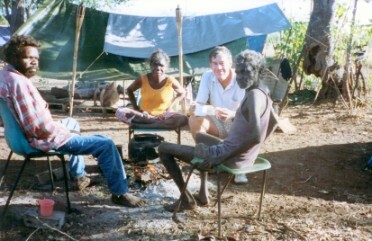 Right: Bill Day on a heritage survey in the Pilbara in June 2010. 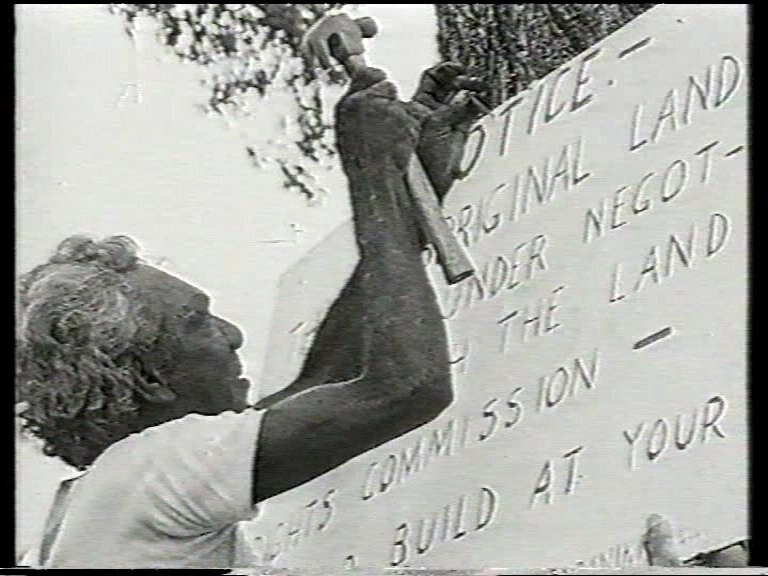 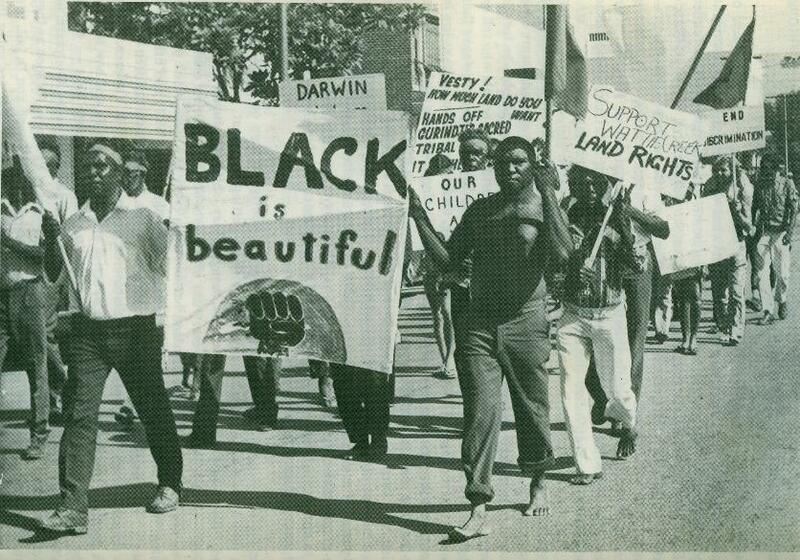 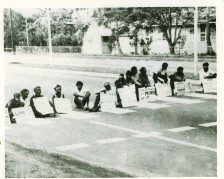 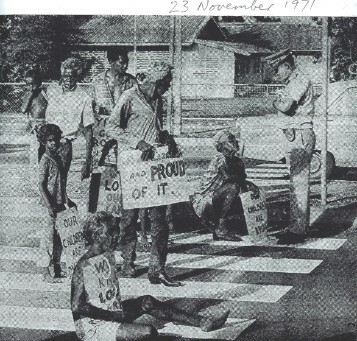 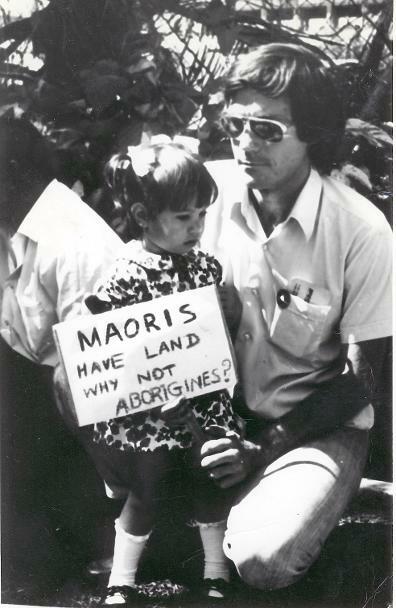 Below: Bobby Secretary in June 1973 nails up a sign to warn developers that the subdivision is an Aboriginal land Claim. 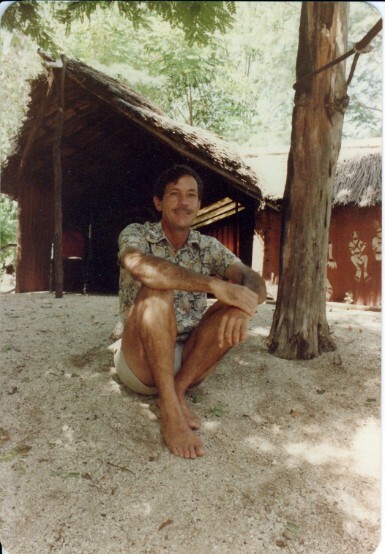 Above: Bill Day at Fish Camp during his PhD research field work in Darwin in 1997.